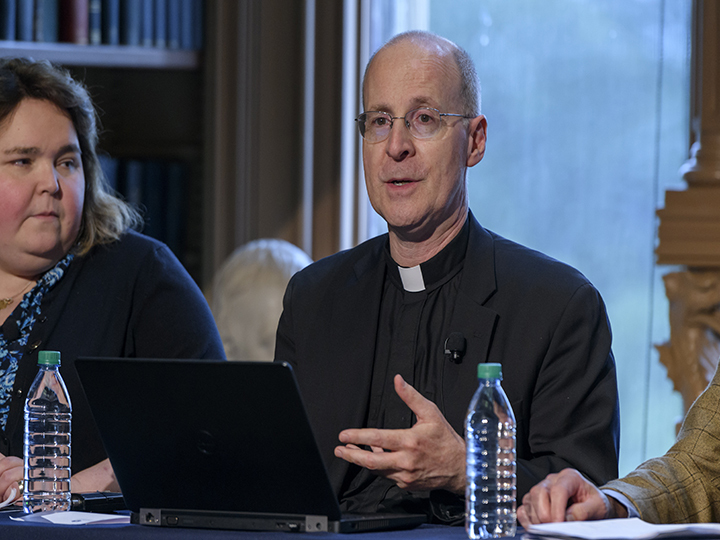 A Catholic Convening at Georgetown University, Washington D.C.
Roundtable discussions of principles and applications of Catholic Social Thought were off the record, but plenary sessions were recorded to share with others. Below are videos of those principled, faithful, and candid panels. 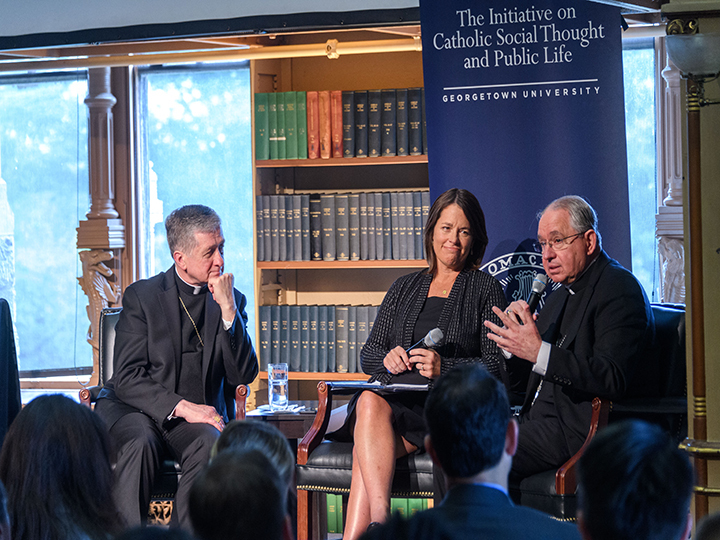 How Do Principles of Catholic Social Thought Bring Us Together? "Overcoming Polarization Through Catholic Social Thought: Keynote Convening Panel"
"Research on Polarization in the Church and Nation"
"Causes, Costs, and Overcoming Polarization in the Church and Nation"
"Public Dialogue on Overcoming Polarization through Catholic Social Thought: Bringing the Joy of the Gospel to a Divided Nation"
"How Do Principles of Catholic Social Thought Bring Us Together?" 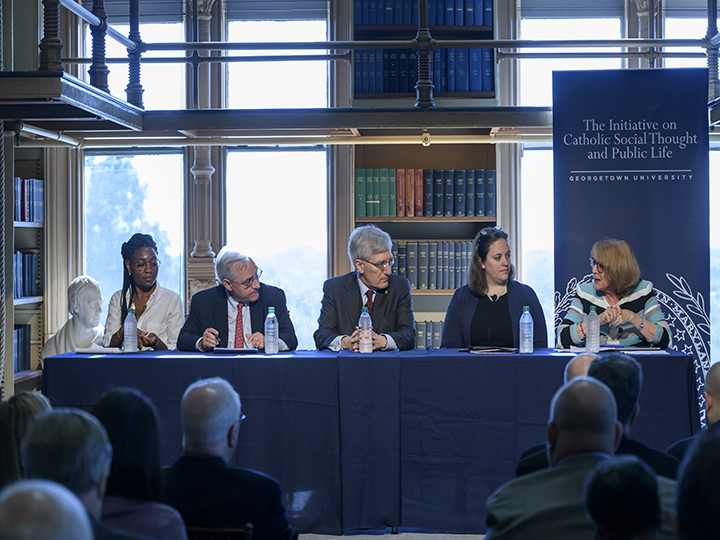 "Faith and Polarization: Catholic Social Thought and the Common Good"
"Attitudes, Behaviors, and Strategies for Moving Forward"
"Lessons Learned, Continuing Challenges, Next Steps"
'Though Many, One: Where do we go from here? The Opening Keynote with Cardinal Cupich, Kim Daniels, and Archbishop Gómez. 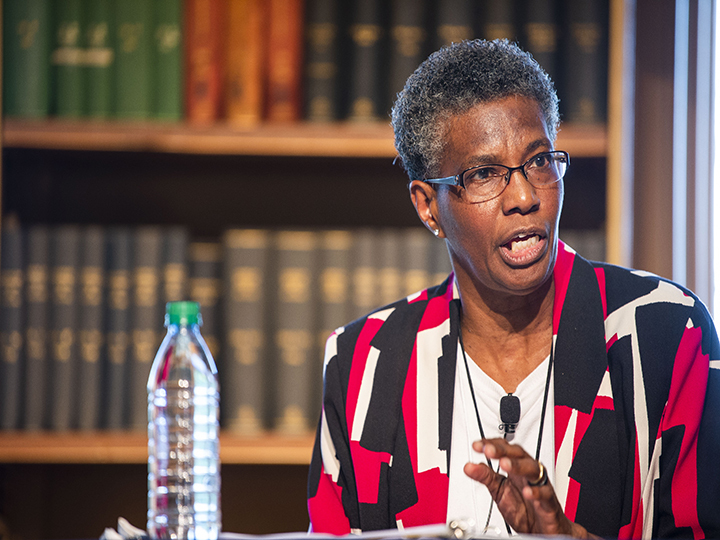 Sister Patricia Chappell, SNDdeN, speaks during a panel discussion. 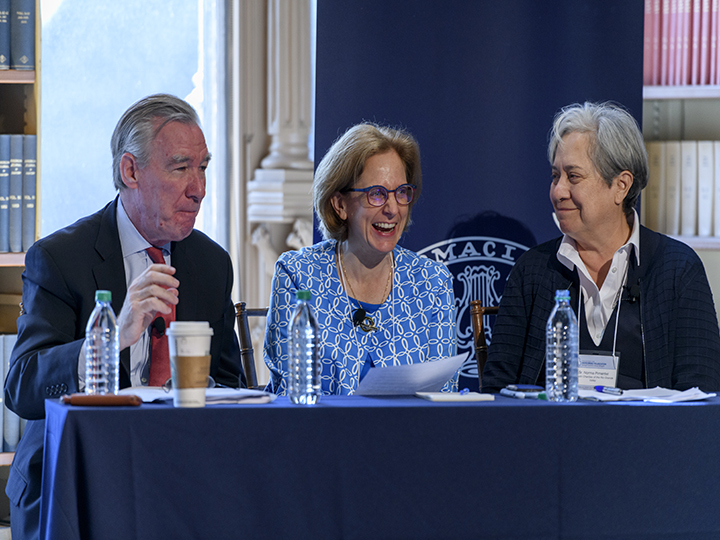 John Garvey, Amy Ulemen, and Sr. Norma sit together during a roundtable discussion. 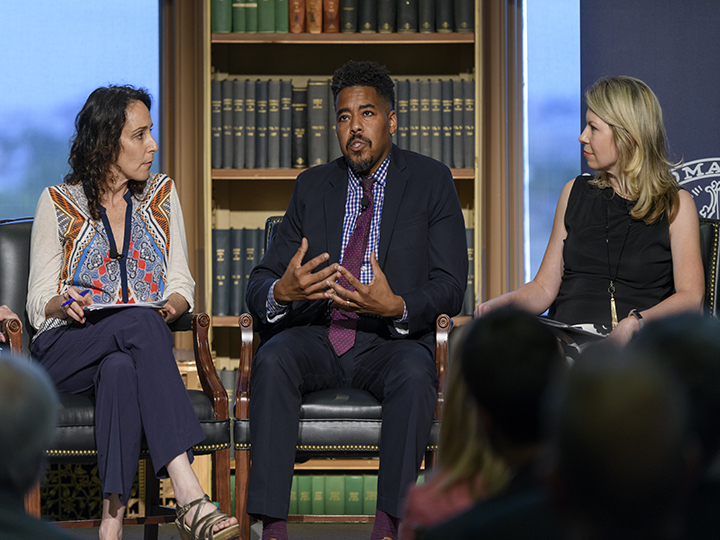 Terrence Johnson speaks during a panel with Michelle Boorstein and Cherie Harder. Rev. 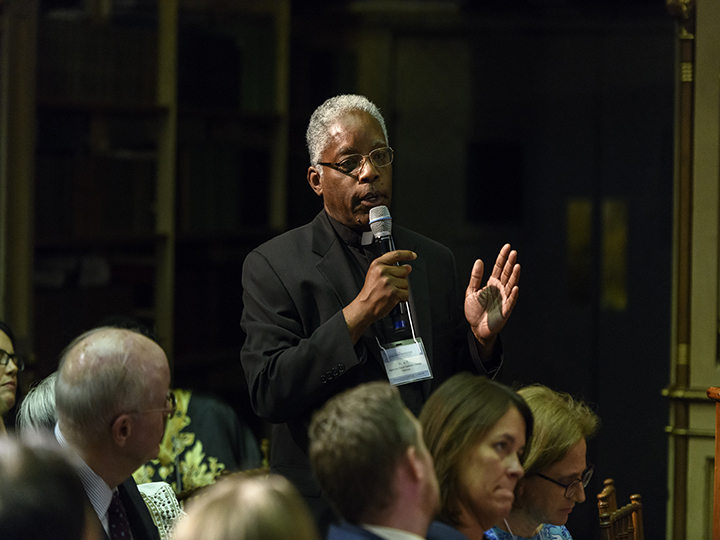 James Martin, S.J., speaks at the Closing Session about lessons learned and next steps. 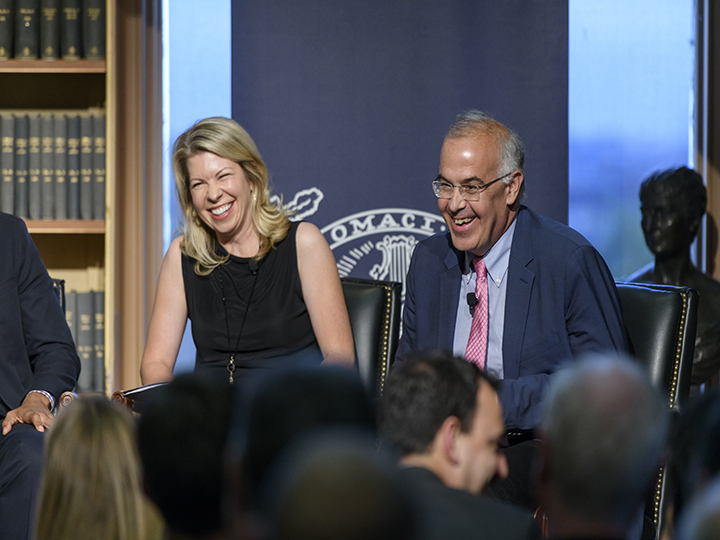 Cherie Harder and David Brooks at the panel on Faith and Polarization. Christine Emba, E.J. Dionne, Robert George, and Meghan Clark sit for a moderated discussion with Joan Rosenhauer. Fr. 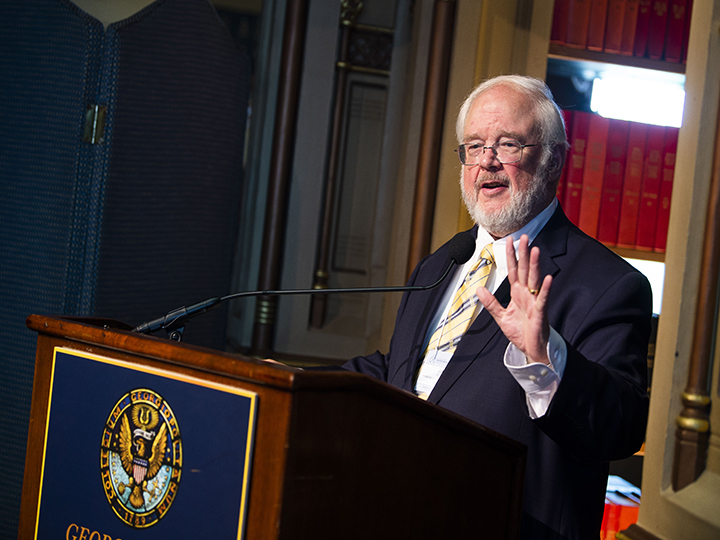 Kenneth Taylor speaks during an open discussion. 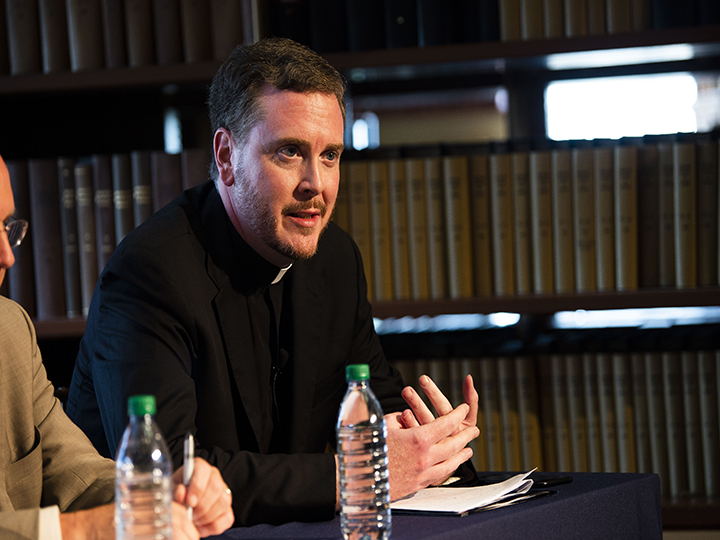 Matt Malone, S.J., talks during the panel on "Causes, Costs, and Overcoming Polarization in the Church and Nation." Initiative Director John Carr speaks to the Convening Participants.